Offered here for bidders is 1979 Masters Tournament series badge #23480. 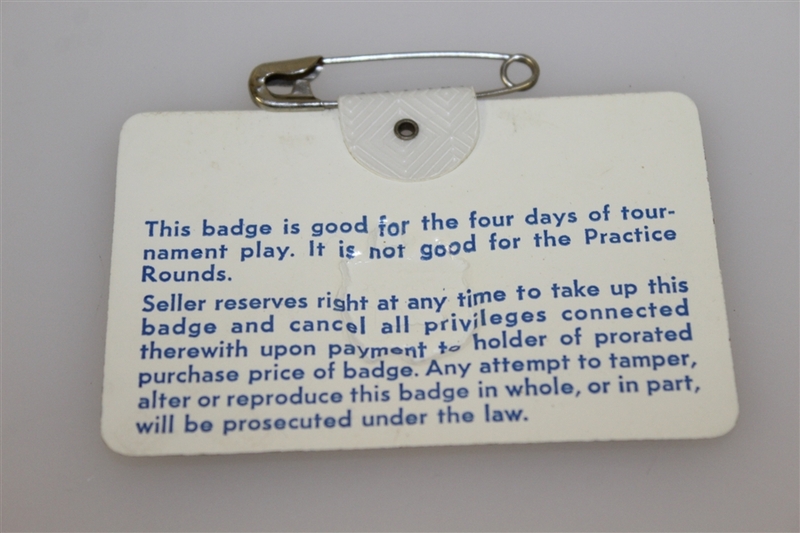 This badge comes in great condition with the original pin intact. 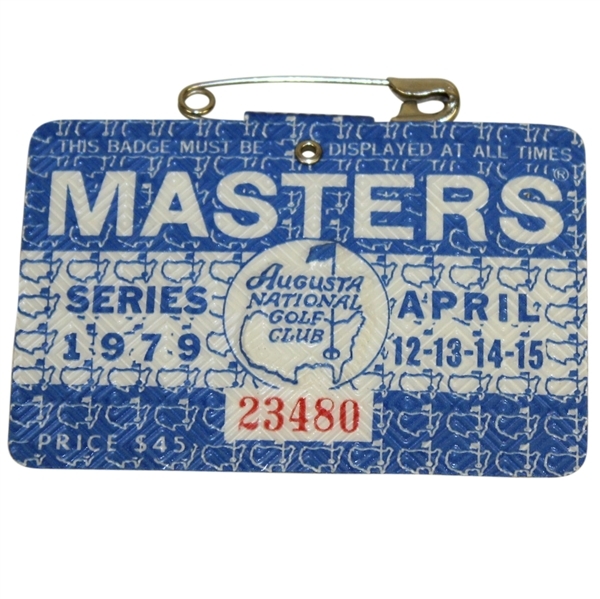 Fuzzy Zoeller won the first of his two major titles with a birdie on the second hole of a playoff with Ed Sneed and Tom Watson at the 1979 Masters Tournament.